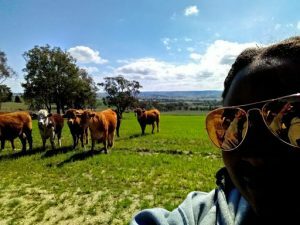 As part of the study abroad program I came with to Australia, I spent a weekend on a farm in Bathurst. I was looking forward to this trip as a chance to get away from the hustle and bustle of city life and soak in the serenity of a quiet farm life-style, and I feel I got just that. The trip began on a Friday afternoon as a group of about 12 college students traveled by bus to a small town. The group was split into smaller groups and each was assigned a host family. Three other girls from the IFSA-Butler program and I were assigned to stay with a lovely couple named Mick and Elinor. After weeks of having to cook for myself, and living with college students who have lets say, questionable hygienic practices in the kitchen, it was great to enter into their pristine home and be greeted by the aroma of a home cooked meal. The following morning we woke up at what felt like the crack of dawn to the sound of bleating sheep just outside our window; we all got dressed and ready to have our first full day on the farm. The entire group of IFSA-Butler students mounted a pick-up truck as we set out to feed the cows. 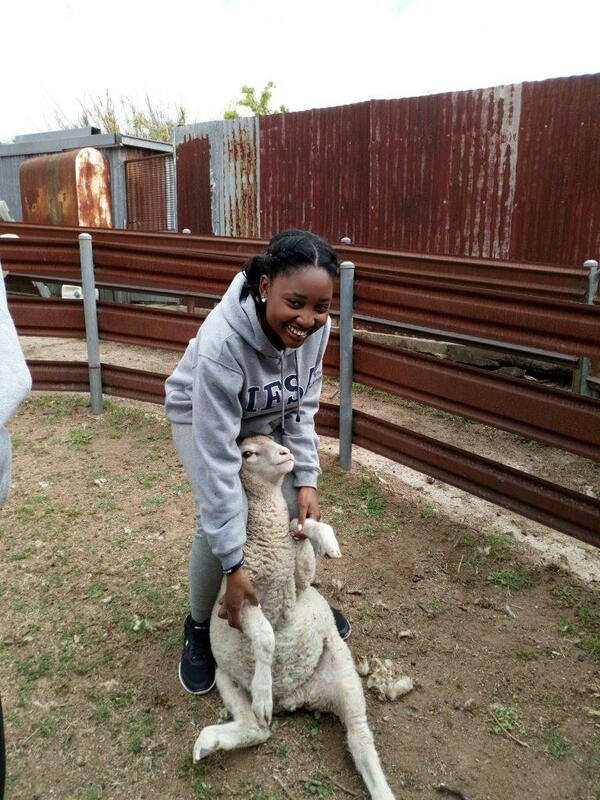 It was really refreshing to see how simple life can be while I was on the farm, I don’t know if I was on some sort of high from inhaling all that fresh unpolluted air, but I found myself feeling really calm on the farm as all my usual cares and concerns floated away. I noticed this new found sense of calm when one of the farmers asked me what I wanted to do for a living. Usually this question triggers all kinds of anxiety within me, but I simply replied ‘I don’t know’ and he told me about how his life turned out nothing like he expected it to. I listened to him tell his story as I reflected on how I often get into a bit of a panic when I think about my future, there is so much uncertainty about it, like what kind of job will I have? Where will I live? What do Sociology majors do for a living anyway? As I get deeper and deeper into my college career I seem to be even more clueless of what it is exactly I want to do when I leave college, and these concerns sometimes weigh heavily on my mind, but over that weekend, they didn’t at all. I guess that weekend showed me that it doesn’t take much to live a meaningful and happy life. The host family we stayed with were an elderly couple and so were all the other host families, so when we all got together it was great to witness their age old friendship and see them take pleasure in just getting together for a meal. I also got to witness the beauty of living off the land: on our last day on the farm we woke up early to get eggs from the chicken coop for breakfast, and to herd the sheep and the cows. I remember laughing out loud with the girls I shared a host family with as we rode up and down the hills in the back of the pick-up truck in search of Kangaroos. Even though I only spent three days with those girls, we arrived on the farm as four strangers and left as four friends. This trip made me realize that I will be just fine in the future as long as I am doing something that I am passionate about, something that brings meaning to my life. And if I can do it while surrounded by great people to share my life (and food) with, that will be better than good enough for me.